Here's a sample code we created for ourselves. 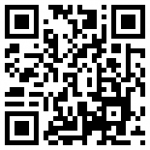 Please feel free to use our QR-Code Generator to create a QR-Code for yourself. Once you try it, we’d love to hear how you used it to market yourself.